My name is Jess and I am an energy healer. We ‘sensitive people’ come to find energy healing usually by way of a “spiritual 2x4.” A health crisis, caused by pharmaceutical drugs, was my 2x4 and it motivated me to start searching for the origin of disease, rather than superficially treating the symptoms. Journeying out of allopathic medicine and falling into alternative medicine I came to understand that healing has three interrelated components: physical, emotional and spiritual. They are dependent on each other and you cannot fully heal without addressing them together. I began to look into energy healing and soon discovered sound healing as my most efficient solution. While living in Michigan I received my Bachelor's degree in Health Sciences from Grand Valley State University. I studied Reiki, and began some post-graduate work studying Naturopathy through the Institute of Natural Health Sciences. 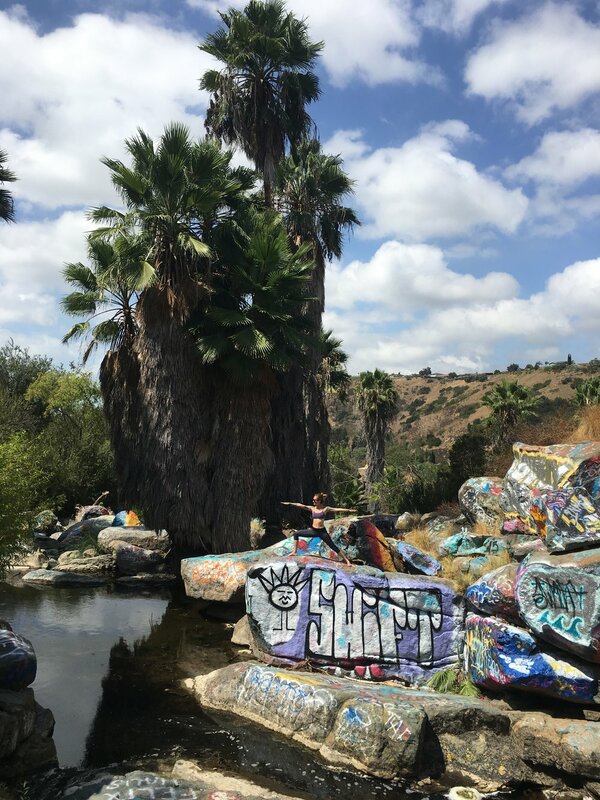 Following the adventurous innate wisdom of my soul, I moved to California where I began studying at California Institute for Human Science, working on my Masters. I was also working at a Subtle Energy Laboratory studying the effects of energy healing on the physical body and biofield (aura). During this time I studied Pranic Healing but ended up falling in love with Biofield Tuning. I found that working with sound and frequency on a foundational level lead to profound shifts in consciousness and healing. I believe that sound and movement are medicines our culture is rediscovering. I believe healing can be found by listening to the intuition of our bodies, and by studying the ancient arts of heat, sound and energy healing we can re-unite the physical, emotional and spiritual. As a client of Biofield Tuning I had such amazing results I was inspired to become a Practitioner, and then a Biofield Tuning Teacher. Once again, following the illuminated wisdom of my soul overseas, I became the International Class Coordinator for the BT Institute. I have been a Thermographer for the last 9 years, which I use to help assess wellness and disease patterns in my clients bodies. Thermography is a FDA-approved way to capture the silent language of the body - which is heat or inflammation. I give seminars on Thermography, and how it relates to wellness and Women's Health. 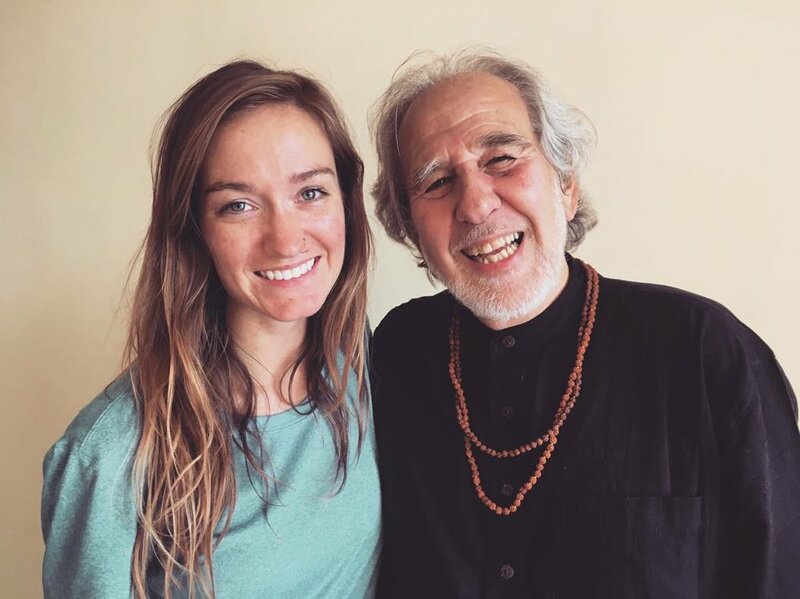 I received my 200 hour Registered Yoga Teacher from Corepower in California and have traveled to Rishikesh, India, the birthplace of yoga, to expand my Western understanding in it’s Eastern roots. I deepen my yoga teachings with the magickal melodies of crystal bowls, gently guiding people back into a healthy and compassionate relationship with their body through vibration. I offer a variety of alternative services all relating to boosting the health and vitality of the physical body through energetic approaches. Pranic Healing is an energetic system used to help heal the physical body through cleansing the chakras and the biofield. We have chakras throughout our body that integrate the energy from the outside world to help restore the balance of our internal world. Pranic Healing works with colors, crystals and energy from the natural world. Biofield Tuning is a modality that uses sound to relax the physical body. I work in the electromagnetic field of the body and restore balance by working with tuning forks with produce a coherent sound. This soothes the nervous system and healing can occur. Biofield Tuning helps to bring you back into energetic wholeness by releasing subconscious blocks that keep you stuck repeating the same patterns. My yoga classes are centered around deep stretches, the breath, and crystal bowls. I teach restorative and yin classes focused on deliberate movements, while being mindful of our body. 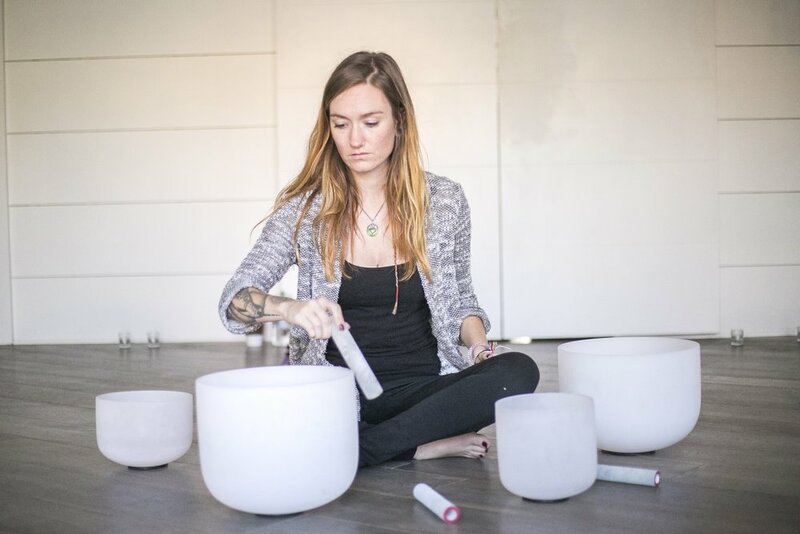 I play Crystal Bowls while I teach as I love how the melodies help dissolve tension and stagnation in the body through vibrational medicine.